Archbishop Edwin F. O’Brien met today with more than 100 priests serving in the Archdiocese of Baltimore at a consultation to discuss the major challenges facing Catholic schools. During the meeting, the Archbishop presented an overview of the state of Catholic education and shared his vision for a long-range strategic plan for the future of Catholic schools. The Archbishop convened the meeting after announcing in November that enrollment in Archdiocesan schools was down over 1,000 students–twice as much as expected. “Our goal will be to make Catholic education as affordable and accessible to as many Catholic youngsters as possible as well as to non-Catholics in some of our more impoverished communities,” the Archbishop said in his opening address on the state of Catholic schools. To achieve his goal, Archbishop O’Brien announced the formation of a blue ribbon committee that will drive the development of a strategic plan for Catholic schools. The committee is comprised of some of the most well-known and highly-respected leaders in education, business, government, and philanthropy in Maryland. Mr. Frank Bramble, Sr., who serves on the board of directors for Bank of America, has agreed to chair the committee, which will meet monthly over the next 18 months. A similar consultation will be conducted with Catholic school presidents and principals on Thursday, February 12, and it is expected that parents and other supporters of Catholic education will have similar opportunities for input. However, Archbishop O’Brien noted that difficult decisions may need to be made before the long-term planning process is complete. “We will continue to meet our ongoing responsibility of addressing the real and serious enrollment and financial challenges that pose an immediate threat to some of our schools,” Archbishop O’Brien said. Representatives of the Archdiocese shared comprehensive enrollment and financial data and provided an update on achievements in the classroom and an overview of the condition of the physical plants in use. The meeting concluded with a 75-minute discussion and feedback session. The Committee will incorporate the feedback, as well as that of parents, educators and the public when developing its strategic plan for Catholic schools. Dioceses throughout the country are struggling with many of the same challenges faced by schools in the Archdiocese of Baltimore. The Brooklyn Diocese recently announced the closure of 14 schools and the Archdiocese of New York lost nearly 6,000 students over the past year. In November, 2007, the Archdiocese of Washington announced the conversion of seven Catholic schools to charter schools. 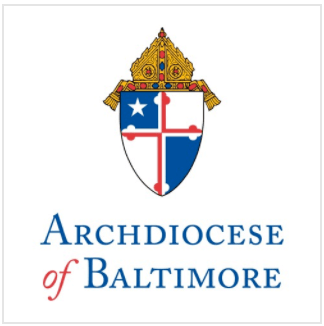 In a November 2008 letter to Catholics in the Archdiocese of Baltimore, Archbishop O’Brien noted that 46 of 64 Archdiocesan elementary and high schools lost 10 or more students and estimated the average loss for 46 Archdiocesan elementary schools experiencing a decline in enrollment in the past year at $87,000. “In sum, in spite of an estimated $3.8 million which Central Services will have extended to our schools by the end of the current school year, well more than half our schools will still be in serious financial trouble,” he wrote. Approximately 33,000 students in 86 Catholic schools in the Archdiocese of Baltimore save Maryland taxpayers over $381 million in per-pupil education expenses every year. Ninety-seven percent of Catholic school students graduated from high school in the 2007-08 school year and 95 percent went on to attend college. It is believed that the number of Catholic schools peaked in 1965 at more than 12,000. The National Catholic Educational Association estimates that in 1965, roughly half of all Catholic children in America attended Catholic elementary schools. Today, approximately 15 percent of Catholic children are enrolled in Catholic elementary schools. For more information about Catholic schools in the Archdiocese of Baltimore, visit www.archbalt.org.